In our country, Christmas is advertised before Halloween arrives. By the first of December, the Christmas season is in full swing. Holiday parties and greetings are everywhere you go. There is extra food, gifts in the shop windows, concerts, ballets, and more. How different this is from the traditional Advent. Like the Lenten season before Easter, Advent was a time for fasting and preparation. Preparation for the coming of the Christ was the focus as you contemplated Christ’s first coming and looked forward to His second coming. The hymn, O Come, O Come Emmanuel reminds us of His first coming while Joy to the World anticipates His future return to earth to reign forever. Advent starts on the fourth Sunday before Christmas, which was the first Sunday in December. The first Sunday’s theme is hope, hope that our Savior will be born to us, hope in God’s promises to us that He will send a savior, hope that the baby born in a stable will transform the world. This past Sunday, the second Sunday of Advent, the theme was faith. Faith n the promises of God and in His Son, Jesus Christ, who came to take away the sin of the world. Each day of Advent, there are hymns to sing and Scriptures to read as we hope and believe, pray and prepare our hearts for the coming Messiah. Over the years, my children and I spent time each day reading about the promises of Christ’s coming, starting in the Old Testament and ending in readings about His birth in the Gospels of Matthew and Luke. Advent is from the Latin word, adventus, which means coming. Two ways of counting down the time are advent calendars, where you open a door in a calendar each day of December until the 25th. Also, the Advent wreath is a traditional way of counting down. Each Sunday of Advent, a different candle is lit. The four candles stand for hope, peace, faith, and joy. On the 25th, the center candle, the Christ candle, is lit, signifying that He has arrived. It is a time to prepare fruitcakes and cookies and other traditional fare, which are then tucked away for the great day to arrive. Christmas trees didn’t become an American and English tradition until the 19th century. For many decades, the tree was put up and lit on Christmas Eve, partly because a live tree doesn’t last long and partly because Christmas itself was not celebrated until then. There is a song called The Twelve Days of Christmas and we sing about the many gifts that the true love gave to the singer. However, we don’t think about the meaning behind the song. In medieval times, all of the preparation of Advent led to the twelve days of Christmas in which people celebrated the Christmas season. Starting on December 25 and lasting until Twelfth Night, there were feasting and stories and celebrations throughout the twelve days. Christmas ended when Epiphany, January 6, arrived. One of the things I often thought I’d like to do is to celebrate the twelve days of Christmas, even if quietly and without big daily feasts and presents, but to save up the celebrating and special treats until the actual day of Christmas and the days following. This year, as you struggle to buy the presents and prepare the cookies and candies and treats and run around to the various parties, celebrate Advent by spending some time, quietly, reverently, wondering at the coming of the Christ, who came to give His life and save His people. Find time each day to think about that wondrous gift from God and pray and ponder Him in your heart as Mary did. You will find the season has much more meaning as you think about what it really means and how you can know this baby who is the Son of God, the Savior of the world. 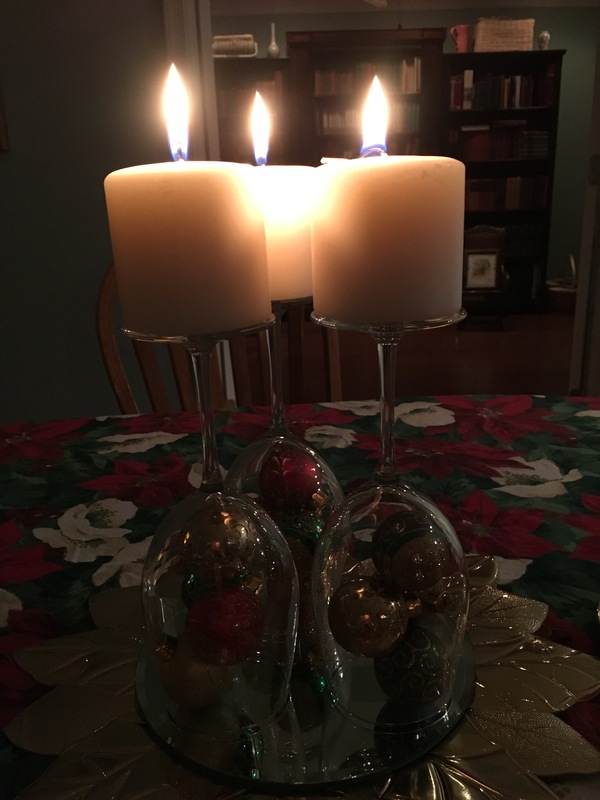 This entry was posted in Christmas, Theology, Things I love and tagged Advent 2017, Christmas, prayer, preparation. Bookmark the permalink.